The 2015 RAM ProMaster 3500 is a very capable and full-sized commercial van manufactured to deliver cargo. There are many features available to make the ideal driving experience for yourself and others who might drive the vehicle for business. It will seat occupants comfortably. The front and rear tires will know how to transport loads. Different suspensions available. Various warranties are available. Chassis Cab and Cargo Van models both available. Continue reading on to understand more about this van made for cargo transportation. Six-speed automatic and manual shifts are available. Use the sport shift for adventurous driving. Get a gas I-4 V-6 or turbo-diesel four-cylinder engine (both are powerful) for your van. Your engine will probably be a 3.6L with 24 valves, but a 3.0L with 16 valves is available, too. Gets 280 horsepower @ 6400 RPM, and 174 horsepower @ 3600 RPM is attainable. Can provide 295 lb-ft of twist @ 1400 RPM. Limited slip differential and variable valve control standard. Front-wheel drive. Available turbo compressor and block heater. Fuel tank holds 24 gallons of regular fuel. Extended body length and frame available. High roof available. 159-inch wheelbase available. Get a navigation system to help you find the way if lost. An abundance of cargo space for your things that you can easily get into the van by opening the split-swing out rear doors. Three doors altogether on the van. Turn signal indicator mirrors. Backup camera available. Air conditioning for warm days, heated seating available for the cold ones. Telescoping steering wheel. CD player available. Power front windows. Remote keyless entry. Front bucket seats and available bench ones. 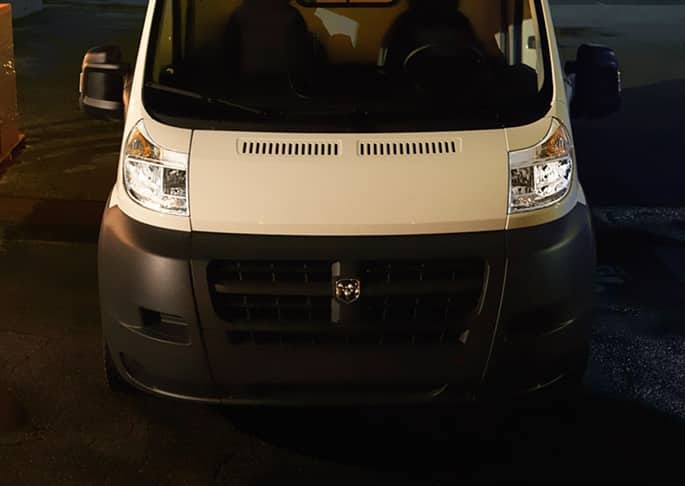 This vehicle has many safety features, such as front fog lights to better help you to your destination on foggy nights and very dark roads. You will have airbags to provide excellent protection in an accident, and the airbags include the following types: dual front side impact, dual front impact and overhead. ABS brakes and brake assist. Electronic stability and traction control. Buy a security system for more protection. Standard immobilizer. Come down to try out the 2015 RAM ProMaster 3500 and see why it's the vehicle for so many and maybe for you. 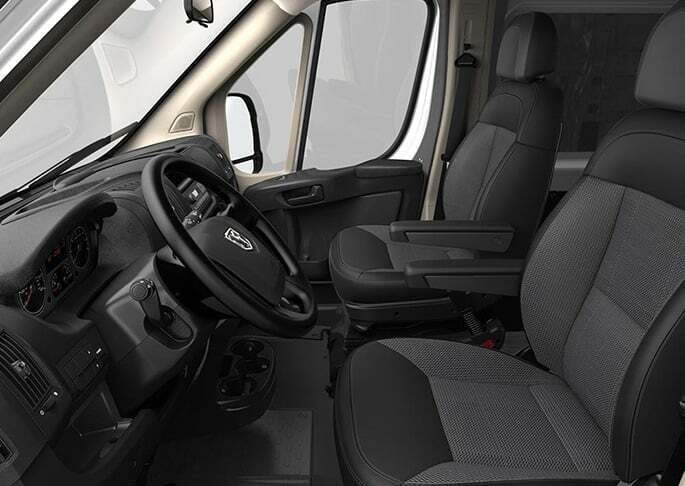 Learn more about this model on the Official RAM ProMaster Website.